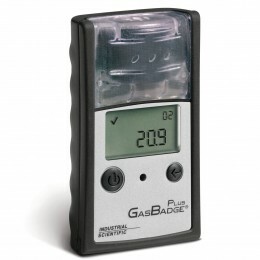 Compact and lightweight with a top-mounted sensor, the Gas Badge Plus can be worn comfortably to provide continuous and unobstructed protection even when placed in a shirt pocket. The monitor is extremely durable and resistant to water and abuse in harsh industrial environments. Powered by a non-replaceable lithium ion battery.